Manage Your Home Debt in A Smart Way - YoursTrulyHandmade.com - DIY, Home Rennovations and a lot of crafts! Many of you have the idea that taking a home loan is a very risk-prone issue. This is because paying it off comes to your head as soon as you think of it. But in reality, it is not such a fearsome thing after all. 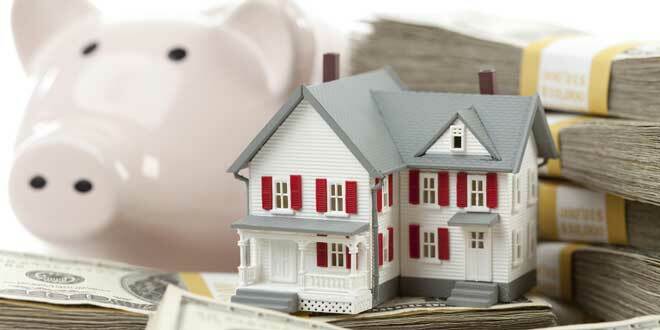 Nowadays many people are opting for home loans and paying them off without much difficulty. The repayment of a home loan, if done in a planned and efficient way, shall not seem tough at all. There are some techniques that you need to adopt to manage your repayment intelligently. The first most simple but very effective method of repaying a loan is paying extra amounts of money. This is, of course, possible when your home loan has the provision of extra repayments. So it will be better to choose a loan which allows you to make extra payments. A useful tip is using large sums of money got at times to make few repayments. It may be a refund of your tax or some extra incentive that you get at work. It may also be a certain amount of spare cash that you don’t need to use for other purposes. The calculation of interest rate is made on a daily basis, and the final billing is done monthly. The pattern of repayment of your loan, if similar that of your salary, can be very useful for you. This is because you can use part of your salary to repay a part of the loan in due time. So it is advisable that if you get your salary on a fortnightly basis, fix your loan repayment schedule in the same way. Also, a stage may come in your career when you start earning more due to your improved performance or after a promotion. In that case, change your loan EMI and make it more than the previous amount. To know more about smart management of your EMIs, click here. There is also some planning that you need to do before you take the loan. Your first important lookout will be the interest rate of your loan. Home loans are the biggest debts in every person’s life, so it must be dealt with very carefully. See that you check many loan programs offered by several banks before you choose the ideal one. Also having a comparatively better credit record in a certain bank would make you eligible for lower interest rates. You can also make your repayment period slightly more than the standard repayment period. So you must manage all the matters relating to your home loan repayment in a proper way. Apply these techniques and see your tasks become easier. A home loan brings with it a responsibility to repay it in a comfortable way. You worry whether you would be able to manage the repayments properly. These worries will no longer trouble you if you apply these techniques. Thus a smart and intelligent approach to a home loan management is what is needed.